It was a good day for United States Marine Corps Major Kim "Rooster" Rossiter when he realized that just because an individual could not physically propel their own bodies from the starting line to the finish line, it didn't mean that that they could not compete. It was his daughter, Ainsley, who opened his eyes. Born the middle of three children in 2003, Ainsley was diagnosed with Infantile Neuroaxonal Dystrophy (INAD) before she turned four. An extremely rare pervasive disorder, INAD affects the nervous system and insidiously causes global paralysis, slowly claiming the functions Ainsley once had. Though she has become progressively less responsive to stimulus in the last few years, she is still aggressively fighting her illness. There is no cure or treatment for the less than 50 active cases of early-onset INAD in the United States and most children with this terminal diagnosis pass on before they reach the age of 10. The fact that Ainsley will be 11-years-old in December is just one of the many things that make her special. "When Ainsley went for her first jog during a local road race in 2007, she gave a radiant, wind-induced smile that anyone would envy," said her proud father. 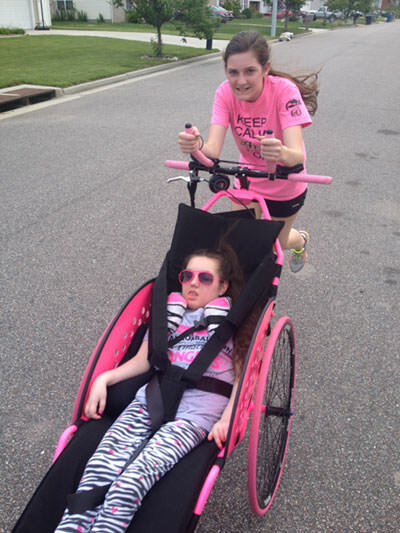 "In an instant, running provided our family with a therapeutic means to fight the devastation associated with the fact that sweet Ainsley has a terminal illness." Rossiter recalls his daughter's smile on the race course, her positive energy as she rolled with the wind and knew that running meant something to her. It was an opportunity for her to be active. This life-altering experience was the first of nearly 75 road races (so far) with Ainsley riding point as the "Captain." This includes 13 half-marathons, as well as the 2011 and 2013 Marine Corps Marathons in Washington, DC. 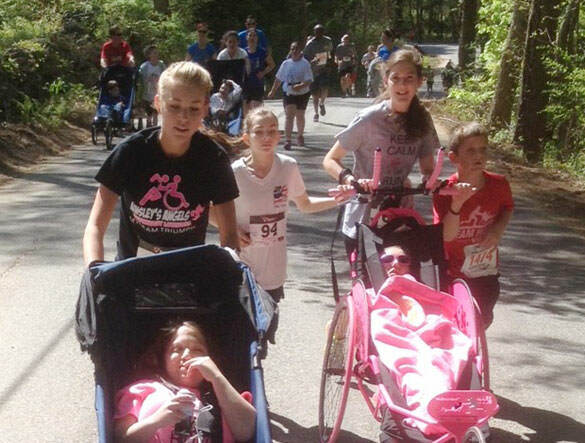 Ainsley's older sister, Briley, has joined her for 25 of these races as her "Angel," pushing from behind. The positive effect that ride-along racing had on Ainsley and her family was enough for the Rossiters to take it a step further. They founded Ainsley's Angels of America to build awareness of the untapped potential of the community of people with special needs. 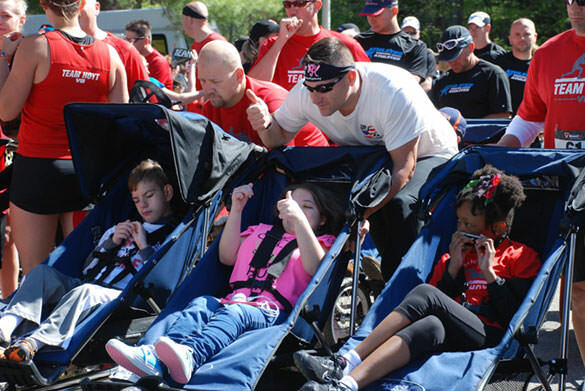 The organization provides education and promotes inclusion in all aspects of life, especially when it comes to endurance events. Since 2011, the foundation has helped nearly 300 families acquire the equipment needed to partake in local road races across America. The popularity of ride-along racing shows no signs of diminishing. Ainsley has inspired the creation of 12 not-for-profit "angel" charities, including Ainsley's Angels of South and Southeast Texas, Eastern and Central Carolina, Louisiana, Southern California, Maryland, Hawaii, Central and Southern Alabama, Mississippi and Virginia. Her story has also been immortalized in the children's book, Born an Angel, authored by her sister. And now, Ainsley's Angels are bringing this Roll with the Wind experience to Abilities Expo! 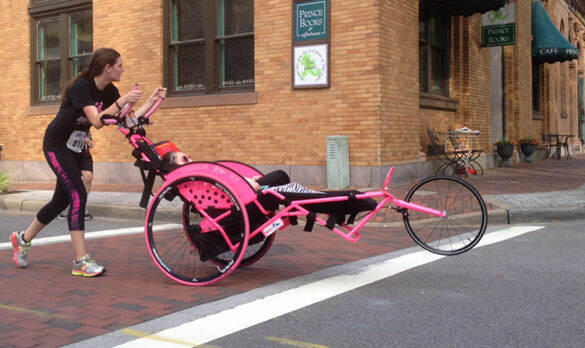 "Captains"—assisted athletes of all ages and abilities—will take the helm as their able-bodied "Angel" counterparts lend their legs to the race. According to Rossiter, "Once you feel the exhilaration at the starting line, see the smiles from ear to ear, experience the fearlessness of every athlete and understand the love we all have for each other, you'll be hooked too. This is therapy like no other and unforgettable for the Captain, the Angel and the entire family!" 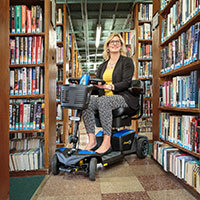 Those attending Abilities Expo Houston can visit Booth #148 to sign up for the Roll with the Wind: Ride-Along Race Experience, which takes place from noon to 3:00pm each day. Briley Rossiter will be there signing copies of her book, Born An Angel. Kim Rossiter will also lead a workshop entitled The Parent Journey: Staying Together and Finding Normal on July 26 at 3:45 to 4:45 pm.